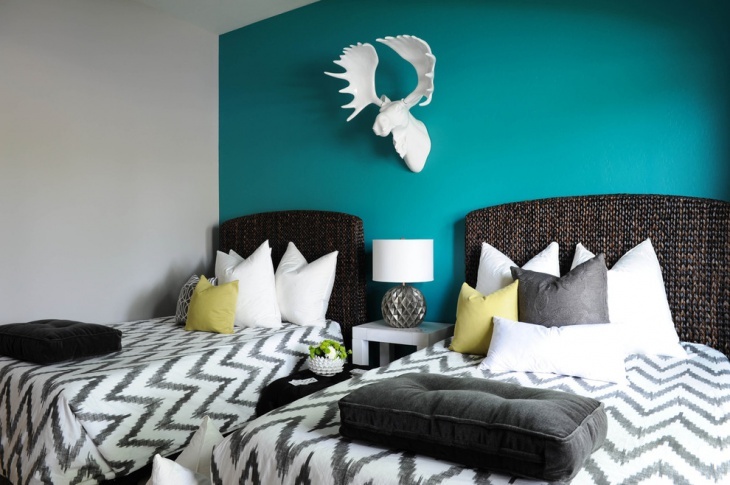 Teal is the most loved color when it comes to bedroom theme. Best complimented with a minimalistic layout, they feature sleek details, and an uncluttered and simple style that will brighten up just any day. Teal is one of the few colors that you won’t find boring in any tone. Further, it creates the right contrast to go for almost any type of home design, ranging from the traditional to ultra modern. 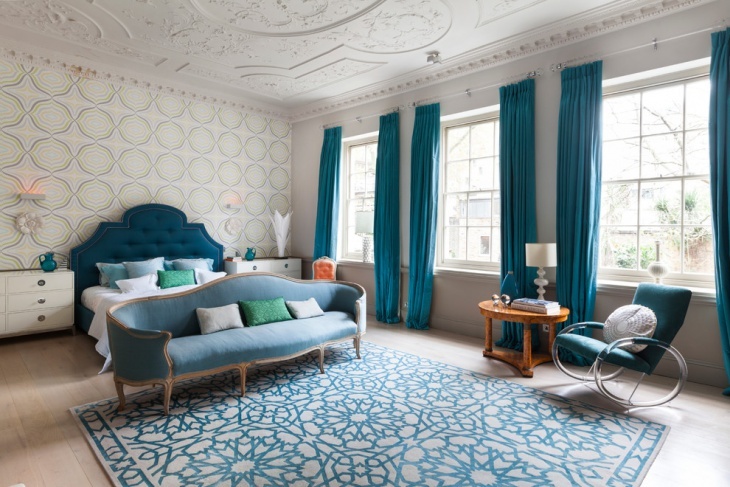 Let’s look at some fine examples of teal bedroom designs to understand better. This is another good example of how teal and white make a perfect pair if you are looking for a minimalistic look. In this example, it is just one of the walls that are painted teal but it does make the difference by adding an element of ‘vivacity’ to the décor. While lighter teal makes a lively theme for indoor design. Darker accents, as in this case, adds a hint of coziness to the space. This would be a bedroom perfect for couples. Again, minimalistic décor ensures that colors become the highlight of the space. Teal is amongst the most ultra modern colors. 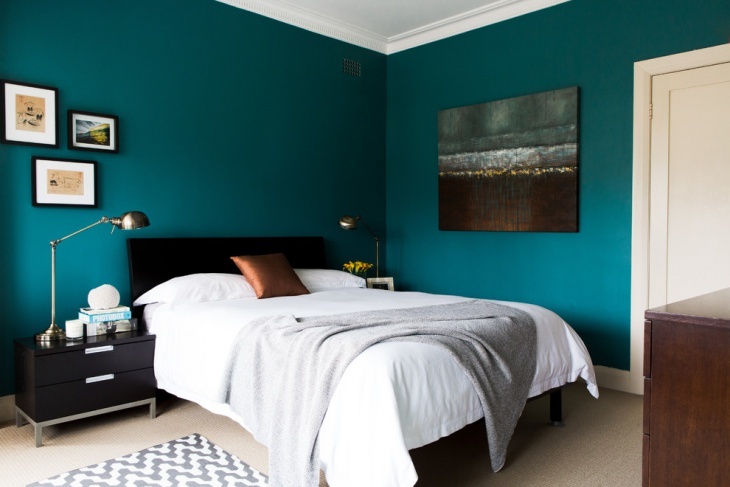 Regardless of the amount of space and the type of bedroom you are looking for, teal makes an amazing choice. In this case, it is just one wall that’s painted teal but it easily makes the highlight of the room. You can choose to put up a couple of unique showcase on this wall to add personality. 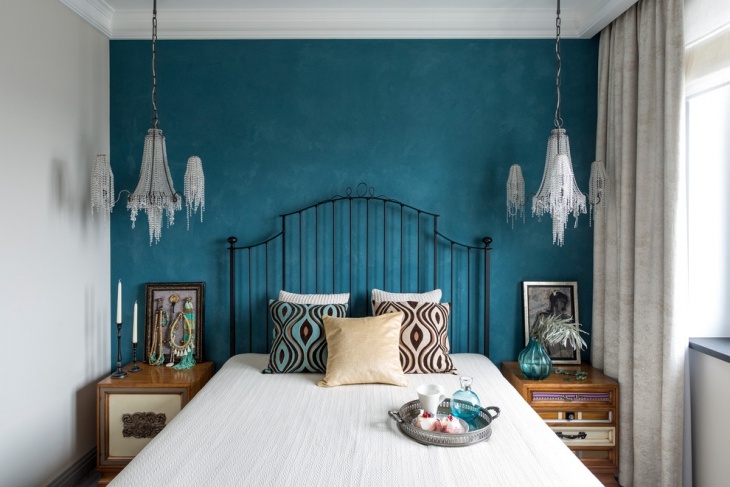 Since guest bedrooms are again a space for minimalistic décor, teal again comes as a good choice of color. 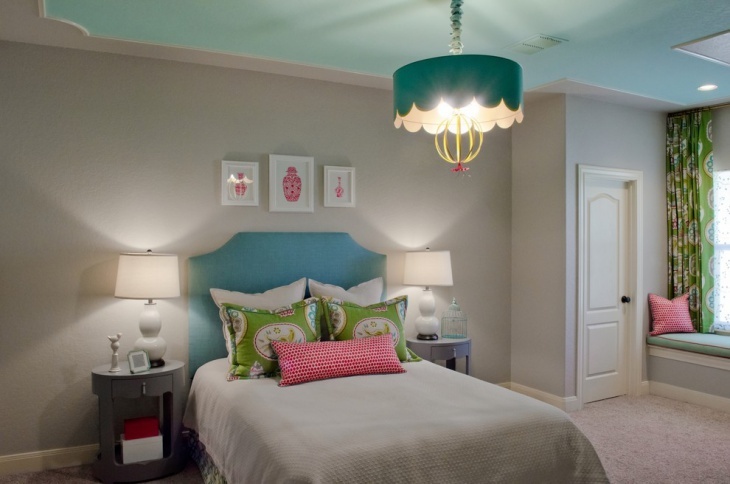 In this example, the guest bedroom is themed totally out of teal and the occasional white. Do ensure that the space is always kept tidy and clean. Now, this is something different from the above example. The bedroom space effortlessly balances teal and golden color combination which is regularly interrupted by earthy textures. The idea here is about limiting them to a smaller space and to the textiles. This room can be said to evoke a warm golden theme with a hint of teal. Moroccans have always created the most flamboyant room décor. 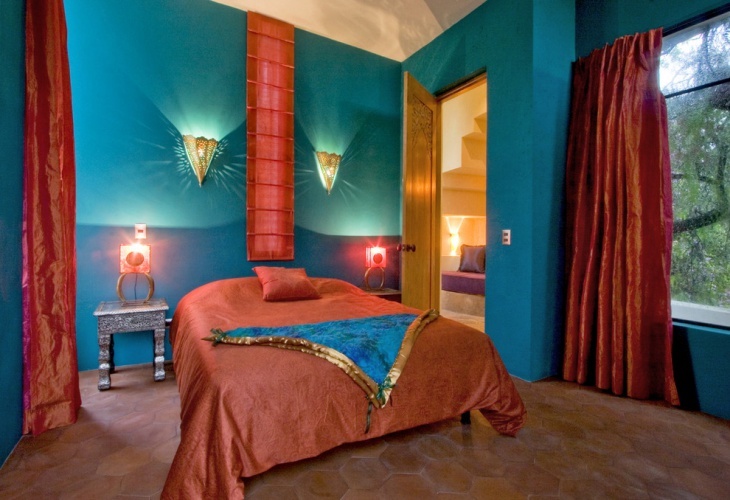 In this case, teal and red make a gorgeous combination and evoke the richness you would see in a traditional palace. The unique lighting fixtures are also among the fixtures that add to the visuals of this room and should be considered if you are going to replicate the mood. This is another unique example where you see how teal has been used as a patchwork to bring in a rustic appeal to the room. This would be a recommended scheme is you have a rather large space for your bedroom. 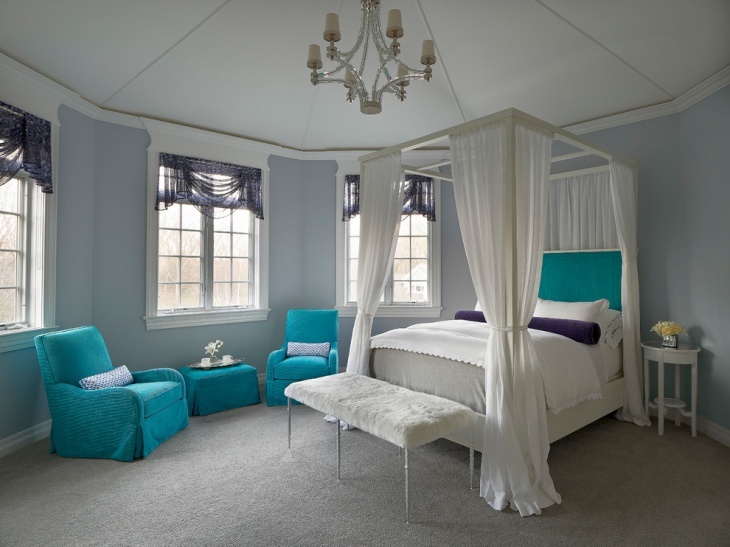 Vintage teal bedroom are marked by big beds, plush chairs and other extravagant additions to the furnishing. However, the idea of minimalistic décor remains the same in this case; the homeowner has used a rich combination of teal and white to create a unique space. We do hope that you would have picked up some unique ideas for your modern bedroom décor. Teal is a natural choice for many homeowners for its richness and depth. 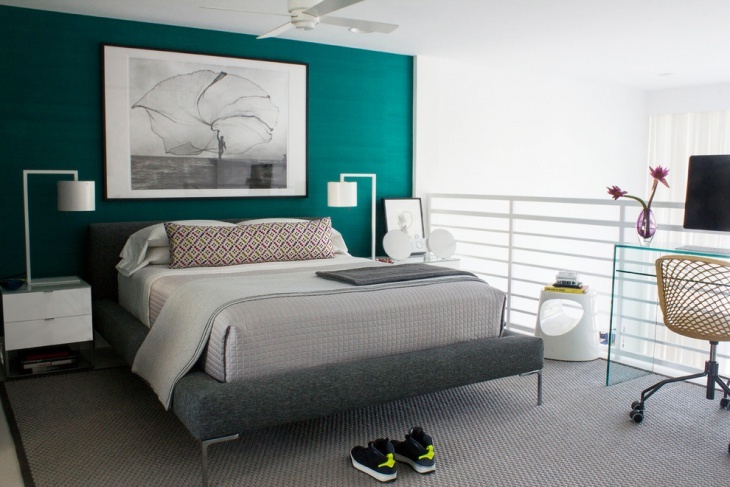 If you too have been thinking about renovating your master bedroom, think about teal!